A slow-moving upper-level trough brings a cooling trend to California with temperatures 5-10 degrees below seasonal averages and a continued coastal marine layer into next week. All eyes remain to the south as the second major hurricane has developed in the Eastern Pacific Ocean. Hurricane Bud approaching Cabo San Lucas is expected to make landfall Friday as a Tropical storm. 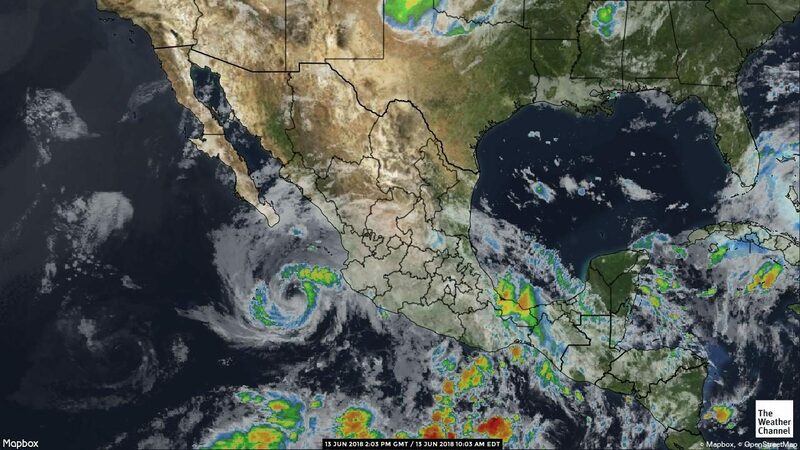 Another disorganized system moving into the of Gulf of Mexico will converge to bring widespread showers and thunderstorms to Central Mexico over the next five days. This tropical moisture will bring significant rain showers and scattered thunderstorms to Northern Mexico and the Southwestern Desert regions late this week into the weekend. Florida will see a typical summertime weather pattern with scattered showers seasonal temperatures into next week. California trucks remain extremely tight. Look for capacity to remain tight until after the 4th of July holiday. CA freight rates continue to increase. Washington apple truck supply is steady. Idaho potato trucks remain steady as well. 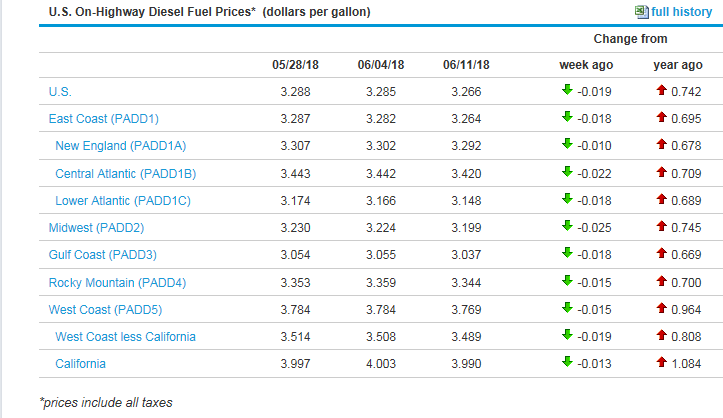 The national average on diesel remained steady this week and is currently at 3.266 per gallon. An increase of .742 from this time last year. California prices increased slightly and are now at 3.990 per gallon. Crude oil decreased slightly and are currently at 66.57 per barrel. Berries (Blackberries): Supplies continue to be very limited and prices are higher. Berries (Raspberries): Supplies remain light and prices are firm. Citrus (Limes): Larger sizes are becoming limited. Melon (Honeydew): Honeydews are very tight due to cooler weather and we are also in the last few weeks of the Arizona growing region. Limited on product (all sizes) and also look for prices to rise these next few weeks as we transfer to the San Joaquin Valley. Onions: Red onion market active due to lighter suppliers and small sizing. Transportation is also very limited so stay ahead on ordering. Potatoes: Transportation is limited out of all areas. Pears: California is scheduled to start packing new-crop Bartlett and red pears the front part of July. Potatoes (colored): East Coast supplies will transition to new areas on and of till we make the full circle back to the Dakotas. Celery: Salinas has begun production. Oxnard will be finished by July 15th at the latest. Berries (Raspberries): Salinas and Watsonville production will slowly improve over the next 2 weeks. Berries (Blackberries): We will see a small window of harvest in central valley California starting next week.